Hiring a new employee for your optometric practicerequires a lot of work and patience. 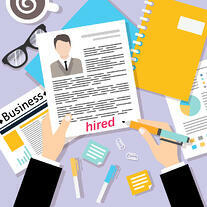 You have to have the patience to wait for applicants, interview applications, and find the right fit for your practice. But, after you select your new hire, there’s another challenge, training the individual without overwhelming them. When you make the decision to hire a new employee, they may be coming from a different job where they have given their two weeks’ notice. During the time between accepting the role and their first day, consider giving the new hire some training materials before the start. For example, you can give the new hire a document that goes over your practice’s history, you can also give them a call script, or give them a copy of your employee handbook. Starting a new job can be intimidating. On a new hire’s first day, try to have the individual start on a slower schedule in your optometric practice. Starting them on a lighter scheduled day will give the new hire time to get acquainted with your practice and processes. On your employee’s first day, schedule a lighter patient day and have them walk through the optometric practice to learn about the different roles to see how their role interacts with each employee to play an important part in your patient’s care and your overall optometric practice. Additionally, to help welcome the new employee to your practice, consider having a team lunch in your practice to get them used to your company culture. 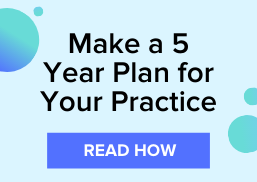 Over the next week, give the new hire access to training resources like on-demand training videos to your optometry software so that they can quickly learn how to use the software that your practice relies on effectively.